The Sidhil Plus 2 Dynamic Mattress System is a 2-cell alternating dynamic pressure therapy system offering support and comfort to medium to high risk patients who suffer from pressure sores. 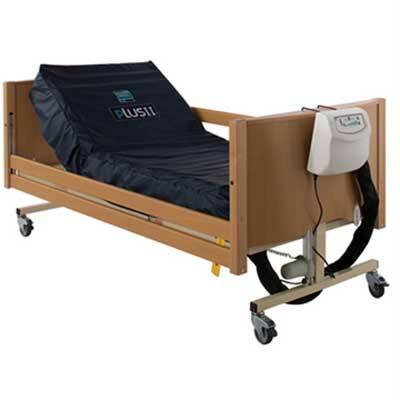 It has been specifically designed to enhance the healing of all grades of pressure ulcers and can be used on both fixed and profiling bed frames. The mattress helps improve pressure reduction in the sacral area due to the unique hinge that aids it's profiling capability. It features an easy to use digital control system incorporating alternaing and static modes. The power unit has a low pressure alarm and an adjustable comfort control. An audio/visual power down alarm is also available as an optional extra.